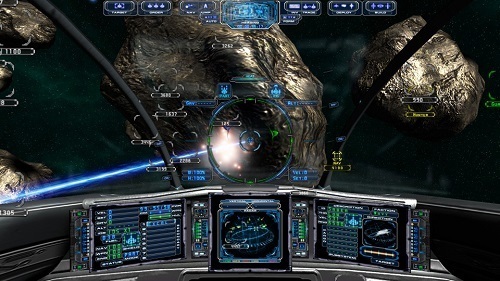 Evochron Mercenary is a game of vast scale that has similarities to Freelancer. 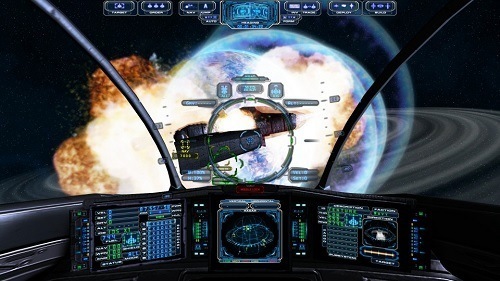 The game belongs to the same universe as the popular Star Wraith series of space simulators that first started in 2000. In the game you will see if you have what it takes to survive alone in space. You’ll be right in the pilot seat as you travel through the universe participating in a huge range of activities in the hopes of building up your reputation and most importantly wealth. Evochron is a game where your entire destiny is under your control. Players will jump into the game as an independent mercenary and accept the jobs that they want while exploring what the universe has to offer. This could be trading with the various settlements, entering races to test your pilot skills, mining for resources, transporting passengers, participating in dog fights and plenty of other odd jobs that a mercenary for hire will encounter. At the start of the game you’ll get to start as mercenary, trader/miner, combat pilot or racer. Each of these options comes with their own level of wealth and starting ship so you can choose one that resonates with your preferred style of gameplay. This allows players to get right into the game aspect that interests them the most right from the get go before branching out into the other activities available in the universe. As you advance further you’ll be able to mix and match parts of your ship which will allow you to change the purpose and strength of your ship entirely. For fans of Evochron that are wondering what this latest game in the series offers them you’ll find a new and impressive quest system to help guide your progress and give history to the game world. A new clan system has also been interested that allows clans to take control of a system through specialised contracts and large clan vs clan battles in the multiplayer environment. This multiplayer environment is built on the same systems as single player which allows you to bring everything from your solo adventure into the community of Evochron. This means that regardless of the way you like to play you’re always making some form of progress. An entire world of exploration, trade and combat awaits you in Evochron Mercenary, the amount of depth in the game is simply insane. Huge game world that you can experience alone or online. Part of a long running and successful series of games. Define your own role in the game world from trader to racer or fighter. Plenty of ship customisation options. Only on Windows with a demo available.